I love your curtains in the dining room! Where did you get them and thanks for hosting! Your indoor fall decorations are beautiful! Thanks for hosting another Outdoor Wednesday! Your fall decorations are beautiful! enjoyed your colourful fall photographs. I rely on my photo storage folders for reliable and different scenery than I'm able to get to now. They each bring back memories and thanks for letting us share our Outdoors Wednesdays here with you. ....ooops so sorry; I hit SEND when a previous post url was in the line. #8 has been superceded with my current 'entry' #9. My apology. Hi Susan, I think all of your fall arrangements look wonderful throughout your home. Fabulous. Thanks for hosting! I do like your tablescape, and the floral arrangements are just right! Your fall decorations are lovely! I like that you showed your tub some fall love! Thanks for hosting. Susan, I want to thank you for continuing to host Outdoor Wednesdays. I know not much is going on in the garden for most of us in the US during the winter, but it's so cool to see what's happening in gardens in other parts of the world. I love your decorations, such gorgeous fall colors! Now that's cooler I can get out in the garden and work on some outdoor projects... like this week's Courtyard Project. Cozy home you have. I love the fall touches. Won't be long we will be pulling out the Christmas stuff. always a fun time of year. Your fall decorations are splendid! Fall is my favorite time of year. Hope all is well at your place. Hi Susan, I have no fall decor around my house yet...my plants outside think it is still spring,too warm for November.Your fall decorations are beautiful.. This is my first time participating in Outdoor Wednesday and I wanted to thank you for hosting it. Your fall decorations are lovely. I look forward to seeing more. Outdoors in is a great post and your home looks lovely! I hardly have any fall decor up this year because I'll have to put it all away one armed after shoulder surgery. I will live vicariously through my blogger friends! So festive! I love the bath decor. Thanks for hosting. The fall color is pretty, from green to yellow to red. Your indoor setting is pretty and festive. Hi Susan. thank you for having us all. 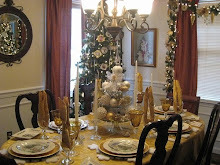 Your fall decor is so festive and I love the way i can have fall and spring together in blogland! Your Home & Your Fall decor are beautiful ! What an inspiring post...I better get busy! Fall colors are my favorite. Lovely decorations! Posted about what's happening in our outdoors! I love all the Fall Flowers...did you do those arrangements yourself...I'm not talented in that art. Yes, you brought the outdoors inside. Lovely fall decoration. love your fall decor, looks beautiful inside! You have so many beautiful fall colors in your house! I think it was fun to see the inside for a change! Pretty florals! I especially love the one in the blue and white container. Thank you for hosting Outdoor Wednesday! Hi, I'm your newest follower. I landed here while blog hopping and decided to enter the link up. Thanks for hosting.